It's not often that the junior school & middle school at Medbury have a service together, but this particular Sunday it was the Clyde House Service. This meant that not only James & Brent were there but also Andrew. 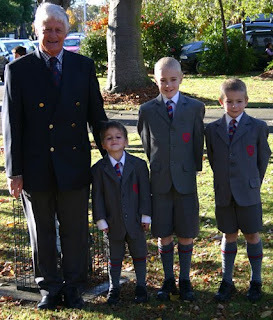 Their grandfather also came so it was a perfect opportunity to have a group photo of all the Medbury boys, even the Old Boy.